She did Tao in Paris as well! So, she walked Dries and that's it - nothing more? 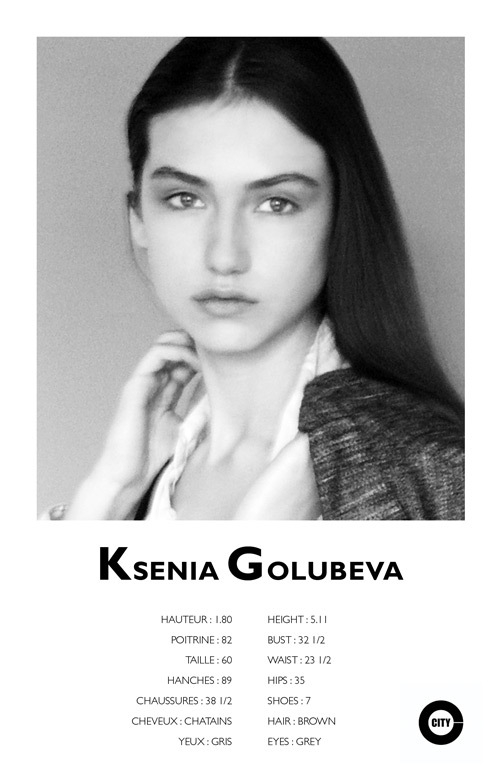 Would be interesting to have some updates on Ksenia. guess who was at Jil Sander F/W 10.11 Milan! Looking great too, I think a natural look suits her face the best. Nice to see Ksenia at Jil Sander I wonder if she's an exclusive..
How could I miss her at Dries last season? Her face is just a combination of very clean lines, incredibly symmertic!